I love talking about books with my friends! 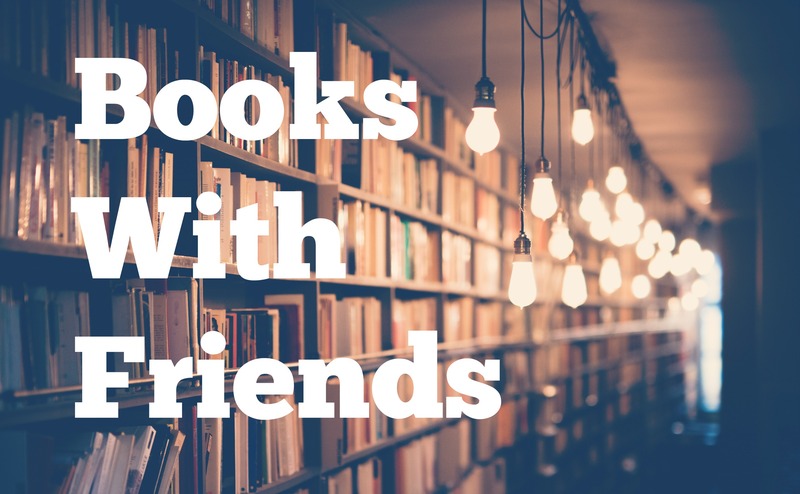 Mostly because I am a huge book nerd, but also because a lot of my friends read different genres than I do, so it’s a great opportunity to learn about new types of books and expand my knowledge. 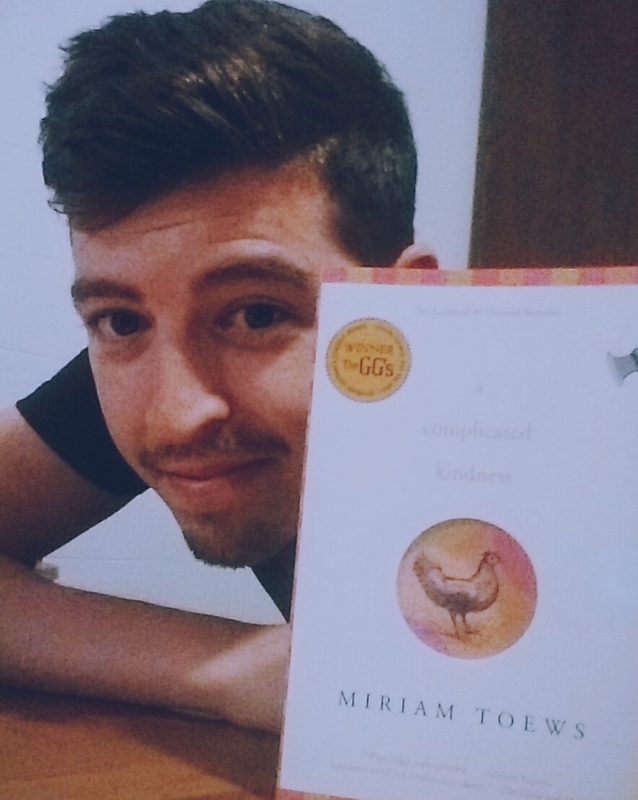 I recently sat down with my pal, Brendan, to chat about a book he just finished: A Complicated Kindness by Miriam Toews. What compelled you to read this book? I’m a big fan the early 2000s Winnipeg-based band the Weakerthans, and especially the lyrics and songwriting of their lead singer, John K Samson. I was listening to Samson speak about his poetry in an interview, much of which draws inspiration from growing up in Winnipeg. It’s extraordinarily focused on his relationship with the city, how it’s changed, and particularly how “place” so powerfully shapes individual and community experience. For similar reasons, he’s also interested in small towns and how forces like the internet both destroy and re-create these places as communities. Discussing these concepts in the interview, Samson mentioned Miriam Toews’ A Complicated Kindness and how her book also contained the themes of small towns, place as a shaper of experience, and the intricacies of community. I was immediately interested. The book focuses a lot on the traditional coming-of-age tale. Do you think it’s an accurate representation of that stage in a person’s life? Absolutely. Nomi Nickel, the book’s protagonist, reminds me of a cross between Scout Finch and Holden Caulfield: adventurous, curious, rebellious, young and naive. Nomi is both repulsed by the hypocrisy that she sees in the residents of her rural, Mennonite town, reveling in her estrangement from them, while at the same time desperately searching for togetherness and community. I think a lot of youth feel and recognize contradictions of these kinds. In that sense, Nomi’s coming-of-age qualities should feel familiar. From a literary perspective too, she very much resembles an ongoing tradition of young, precocious protagonists and narrators in English and American literature. Not too many characters I know, however, grow up in a religiously-run Mennonite enclave in rural Manitoba. I suppose that’s what makes her story so unique and individual. This book is both written by a Canadian and set in Canada! Do you think it is a good representation of Canadian life/culture? Or, does the Canadian setting have little impact on the story? The age old question: what is Canadian culture? The story takes place in East Village, Manitoba, a small enclave of Mennonites close to the American boarder. Geographically, it’s tremendously Canadian. Culturally . . . why not? The story is about a young girl’s quest to understand herself and her community, a town that’s bent on religious righteousness, the apocalypse, and the need to work at the chicken factory at the edge of town. I don’t think that takes away from it’s “Canadian-ness” at all — it enhances it! The setting is as representative of Canadian life and culture as any other experience. And it makes sense too, given that the story is so much about “place.” And what’s more Canadian than searching for identity in an endless mosaic of peoples? What is the significance of the book’s title with regards to the story? How is the theme of “kindness” presented? Raging against the simplistic nature of her town and the church that controls it, Nomi also remarks that “there is a kindness here, a complicated kindness.” The title embodies her entire experience throughout the book. It’s about her constant struggle to reconcile herself with the place that she feels so alienated from, but at the same time represents the only home she has ever known. Toews, I think, wanted to demonstrate how kindness, in some form or another, is present in all the small interactions between Nomi, her family, and her community; that, despite the feeling of being smothered by judgement, backwardness and self-righteousness, there’s something intangibly lovely about the relationships between the characters in the book, regardless of how fraught they appear. The book features a lot of flashbacks. Did this impact your reading experience? Did it make the story more fluid, or complicated? Large parts of the story take place in flashbacks. It makes sense — the book is so much about Nomi’s soul-searching, the relationship with her family and the recent disappearance of her mother and sister. The flashbacks are essential to how the story progresses. More than anything, it’s Toews’ writing style that took some time to get use to. Toews writes without separating Nomi’s stream of consciousness and the dialogue with other characters. There are no quotations marks to indicate when someone begins to speak and when they end. It’s strange at first, but easy to pick up. I also think the style of writing is deliberate. The way in which Toews’ writes adds to Nomi’s personality. It helps to express her erratic, unfiltered thoughts and the charming sass that she brings to all her interactions. There’s a lot of dry wit and humour. I even laughed out load in public a few times. The story takes place in a small Mennonite town. Is religion an essential part of this story, or could it succeed in a secular community? The religious nature of East Village is an essential and overarching backdrop to the story. Sure, maybe something about a secular community could act similarly as an alienating force or quality. In A Complicated Kindness though religion is central. Much of what motivates the characters actions and reactions has something to do with the religiousness of the community. It’s what creates the contradictions in Nomi’s life, the personality of the town and its residents, as well as the “complicated kindness” that Toews so artfully tries to express. A Complicated Kindness is a subtle book. It’s subtle in a way that’s clever, funny, sad and thoughtful, all at the same time. If that sounds like your jam, definitely give it a read. If you’re a reader of Canadian lit (or even looking to be), add this book to your list. It’s a toss up! I’ve become super interested over the last year in food waste, the politics of food marketing and agriculture, and our relationship with food in general. I purchased Michael Pollan’s book In Defense of Food recently. I know a bit about the book already, and I love how he approaches the problem. He’s very non-prescriptive in his advice, but also thorough in his assessment of the Western diet and the production of food in general. He has a simple argument for healthier living, but its also incredibly well thought out in that it doesn’t tell the reader to do any one thing. I’m also looking into reading The Apprenticeship of Duddy Kravitz. I am a huge fan of Montreal and haven’t read enough Mordecai Richler. It also transitions nicely from Toews, keeping with the Canadian theme!